Go kayaking on the Perdido river near Pensacola, about 1.5 to 2 hours away from Pelican’s Elbow. Bring lunch and plan for an all-day trip. For much of its length, the spring-fed Perdido forms the boundary between Alabama and Florida. It one of the cleanest rivers in the south, is relatively natural and unspoiled, and has limited development along its banks. You can rent Kayaks year around for a leisurely trip down the slow-flowing shallow river. The Kayaks are very stable and can accommodate a small child with adult. Life vests are supplied. Perdido Natural Adventures is a two-person company and you’ll need to be patient getting organized and started on your trip. However, it’s a nice trip and my family enjoyed it very much a couple years ago. Search Groupon.com for a discount coupon. Call the company (in Moleno, Florida) at 850/587-3002 to make a reservation and schedule a time and place to meet. 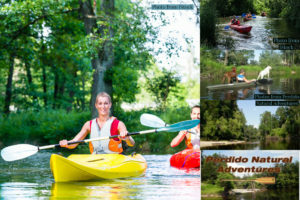 www.perdidonaturaladventures.net.